Regular readers of ‘The Ruggist’ and those who follow the associated social media accounts – @theruggist wherever finer social media is found – already know of my trip to Nepal in the autumn of 2016. What may not have been apparent is that it was my first trip to the country whose carpets I have long promoted and admired and the experience was – to say without hyperbole – profound. Though I had mentally and physically prepared myself for contingencies large and small, including inoculation against typhoid fever, ecoli, and cholera as well as robust reading on things to do and to avoid – such as large groups of monkeys – I was not prepared for the realization of what precisely it means when we say we are helping the Nepali people. Moreover – and this is something I had told myself I would not do simply because so many have done it before – I came away with a different view of spirituality that I am sure will inform my beliefs for years to come. Regardless, it is the former point, our role as consumers and what it truly means when we say ‘Help Nepal.’ or ‘Give back to Nepal.’ that brings us here some three (3) years to the day after ‘The Great Quake’. 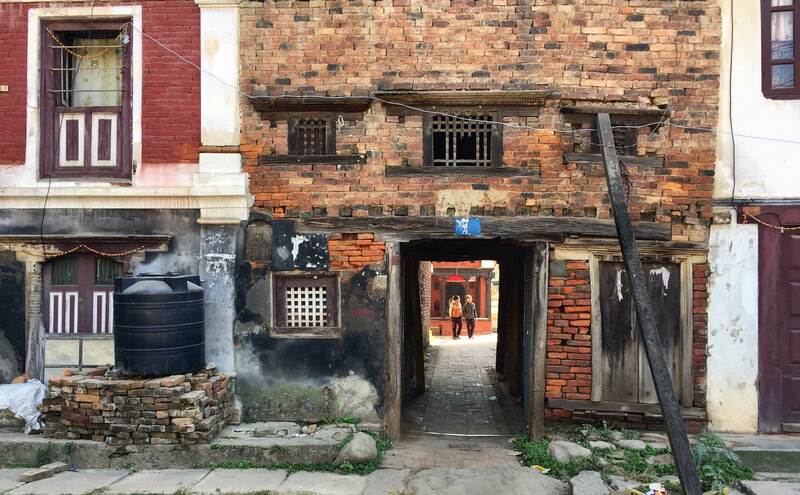 Two young Nepalis seen through a portal in an earthquake damaged building in Patan. | Image by The Ruggist. 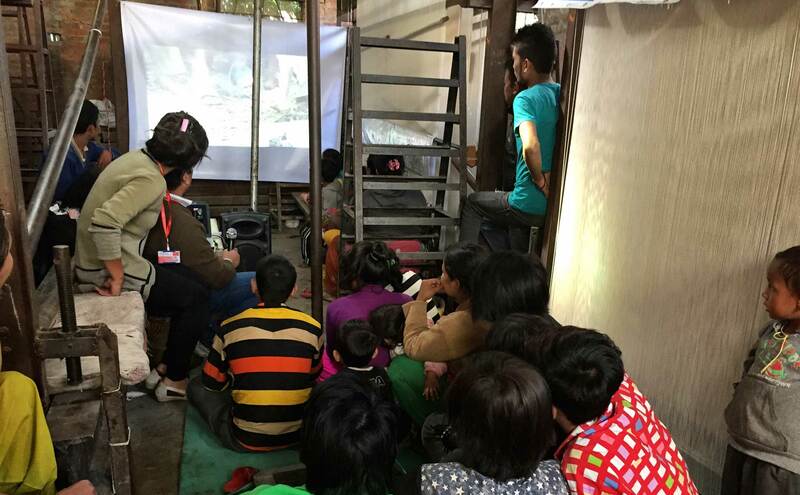 In the immediate aftermath of ‘The Great Quake’ in Nepal on 25 April 2015 which took the lives of an estimated 9,000 people and injured over 21,000 more, the humanitarian response was large and proportional. Aid agencies and governments responded, and within the world of rugs and carpets innumerable people with connections to the country offered and provided immediate support and aid. Some even boarded a plane, flying to Kathmandu with whatever relief supplies they could pack. 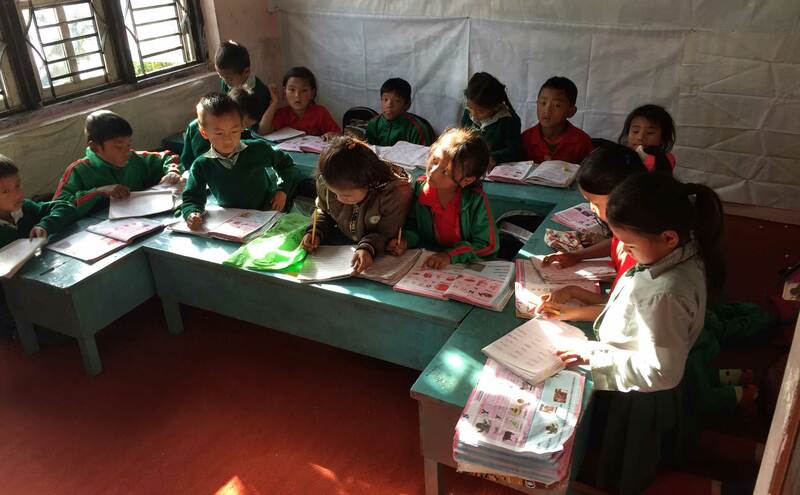 For my part, I did only what I could and wrote, a fair amount, about the need to help Nepal. One piece in particular, ‘Consumers Must Show Real Empathy for Nepal’, seemed to strike a chord with my fellow writers and thinkers of rugs. Excerpted quotes from that article appeared in issues of COVER Magazine and in Rug Insider Magazine under the direction of the now former editor. Other publications such as rugnewsanddesign.com and rugnews.com joined the chorus in their own ways, each of us sending the same message of hope and support. Perhaps what differentiated my approach, what made it resonate is that I called for sustained support, not just the immediate. 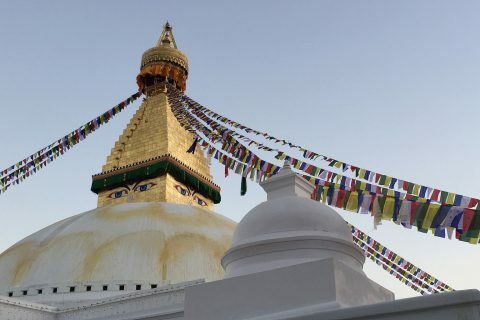 ‘And while a potential delay of two to six (2-6) weeks can be a great inconvenience to a client’s plans for whatever home redecoration, family or society function the carpet was wanted for, the toll on the Nepali people transcends mere inconvenience. Every cancelled order, every order not placed because of the perceived uncertainty of delivery, negatively impacts the well being of the weavers of Nepal, and retards the reconstruction effort by removing much needed foreign money from their economy.’ – From the article ‘Consumers Must Show Real Empathy for Nepal’ which was published by The Ruggist on 25 May 2015. That was the call and just as the concluding couplet from the musical Camelot proclaims ‘Don’t ever let it be forgot, that once there was a spot, for one brief shining moment that was Camelot.’ so too did it seem in the face of adversity that brief shining moment of unified voice, of collaboration instead of competition had the potential to change the course of carpet weaving in Nepal. That was in 2015. Children of weavers enrolled in a daycare operated by CWARDS and GoodWeave. | Image by The Ruggist. As it follows, the responsible question must now be asked: ‘Did this shining instance of unity translate into sustained financial support via carpet trade?’ In year 2013/2014 (Nepal does not use the Gregorian calendar and thus the year is converted from the Nepali year 2070.) Nepal exported approximately 461,065 SQM (square meters) of carpets, roughly 4,961,000 SQFT (square feet), whereas in 2014/2015 exports rose an appreciable thirty-five percent (35%) ending 2014/2015 at 625,437 SQM. That gives an idea of the immediate trade conditions just before the quake. Since the earthquake, year 2015/2016 ended at approximately 605,295 SQM and 2016/2017 ended at 503,474 SQM of export. It would be irresponsible to assign any degree of causation or even correlation to these numbers, they are provided solely for context. For further context it is imperative to examine the long term trends in production from Nepal. Since 1993/1994, the first year of data examined, when the country exported 3,326,375 SQM – yes you are reading that correctly – production has continuously trended downward with only six (6) of the intervening years registering an increase in production. From 3.3 million and change square meters to 503,474 SQM over the course of twenty-three (23) years with an annualized average rate of decline of just shy of seven percent (7%). A major factor not controlled for in this includes the shift away from faster and less expensive to produce, lower knot count carpets in favour of finer constructions, yet even if this was factorable (I don’t believe it to be.) the long term trend is incontrovertibly clear from the data and universally confirmed anecdotally and through expert opinion. If this trend continues unchecked in another twenty-three years time the volume of production will be approaching an asymptote of approximately 130,000 SQM per year, another eighty percent (80%) decline over last year’s figure. This assumes of course it just doesn’t collapse entirely at some point before then. 2001-2002 saw a drastic decrease – the largest recorded – dropping twenty-four and one half percent (24.5%) in a single year. 2008-2010 experienced consecutive decreases of over twenty-percent as well. In short, another major event which disrupts consumption of Nepali carpets has the potential to inflict severe harm on the industry. Again, if left unchecked. So it was then that in the ‘The Golden Era’, that is to say the late eighties to early nineties, the West began selling Tibetan carpets (made in Nepal), and a lot were sold. A lot. In 1993/1994 Nepal exported in excess of three (3) million square meters of carpets, a number has not been matched since. For a country whose primary sources of foreign exchange are tourism, carpet making, and migrant labour this steady, year over year decline, is simply untenable. As discussed in detail in ‘Shine Brightly! | The Future of Weaving‘ the rug industry faces labour pressures as workers seek higher wages elsewhere, this is understandable. It also faces pressure due to declining demand. Exceptional quality – such as this carpet on loom at Jan Kath for Louis Vuitton – will always have an enduring place so long as the industry promotes quality over the pastiche. | Image by The Ruggist. In order to check the decline of production, and ideally spur a growth, it is first necessary to understand the reasons for decreasing demand. I attribute this to two (2) primary factors. Firstly, increased production costs which in turn leads to increased retail prices, which tends to lead to consumers seeking less expensive wares, which they can easily find elsewhere, thus leading to fewer purchases of Nepali made carpets. 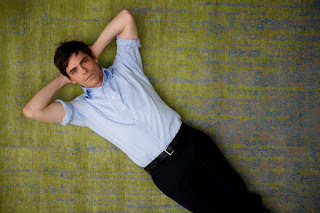 Secondly, perhaps more importantly, is the homogenization and overt westernization of carpet aesthetics. As inflation is a thing and people of all socio-economic statuses, not just those in poverty in Nepal seeking to better their life, tend to want increasing wages I find it ridiculous to address this issue. Moreover in a developing country such as Nepal, one can no longer simply say ‘Weave this for X wage or I cannot give you work.’ as increasingly work paying a rate of X or X+ is available elsewhere. Instead, in the spirit of the art and craft of carpet making, the appreciation of Tibetan carpets, and indeed that ‘shining moment’, I propose examining the latter point as well as that of finding ‘less expensive wares elsewhere’, by addressing the appearance, texture, the l’esprit du terroir of Nepali, Tibetan, or Nepali-Tibetan carpets, however one might choose to describe them. 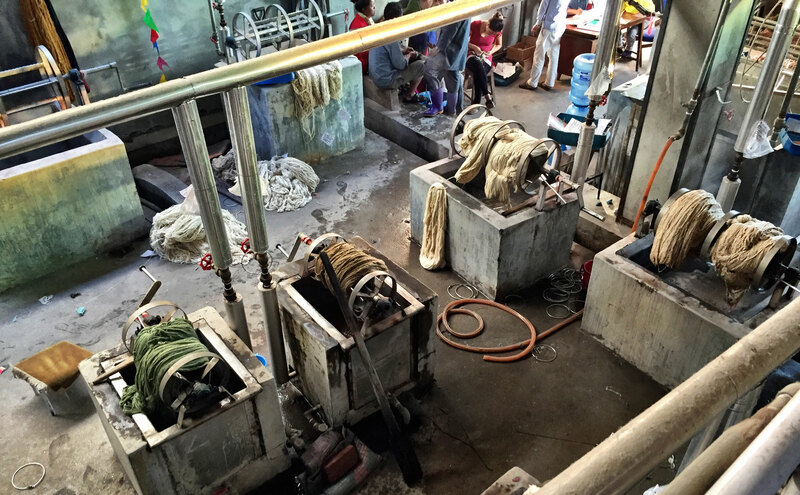 This dye facility is operated by one of Kathmandu’s premier manufactories. The individual dye vats are heated by a centralized wood fired boiler whose emissions are filtered and scrubbed to improve air quality in the Kathmandu Valley. | Image by The Ruggist. A New York Times Opinion Piece by Robert Kuttner, Co-editor of The American Prospect and a professor of public policy at Brandeis University’s Heller School discussing the pitfalls of the current airline industry contains a gem of a sentence which sums up the state of many industries, including of course in my opinion, the rug and carpet industry. ‘And one seat is pretty much like another — as economists say, there is little product differentiation — so in a competitive free-for-all, everyone goes broke.’ – Robert Kuttner. Replace the word ‘seat’ with ‘rug’ or ‘carpet’ and the sentiment of Mr. Kuttner easily translates. While it may be true the low, middle, and upper-middle market segments of the industry are performing decently they do so in part by cannibalizing the aesthetic and the branding of the high end – which to be clear, is where Nepali made carpets reside. That is, to not put too fine a point on it, the proverbial race to the bottom. This is not unique to the Nepali carpet industry, nor the rug industry more broadly, nor is it even newfound. Just look at any form of aesthetics driven consumer ware and you will find most often the top innovates while the lower echelons feed like parasites until the host – in this case the originators of innovation – wither and die. 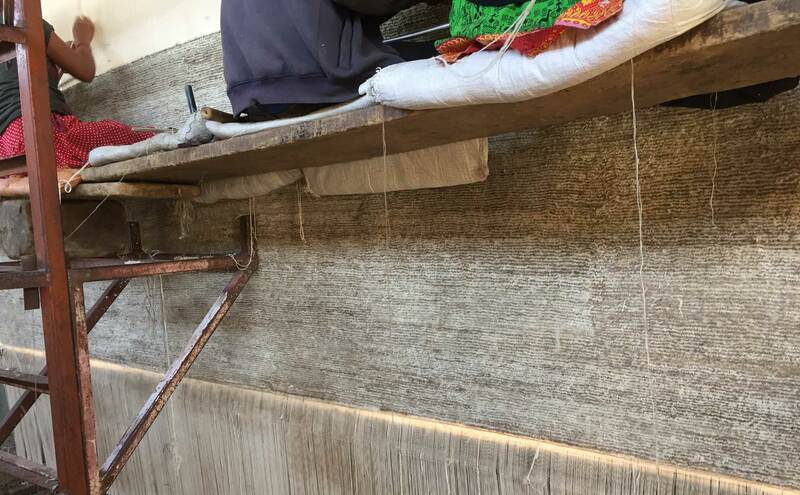 This is what has been happening to the Nepali carpet industry since ‘The Golden Era’ and we – as those who love authentic Tibetan handmade carpets – must act in not only our own best interests, but also those of the Nepali and Tibetan people to reverse this trend. Carpet weaving at the Tibetan Refugee camp in Pokhara. Carpet is one of the top export product from Nepal . 90s was the booming time for carpet industry in Nepal. Unfortunately it didn’t goes long. The market had changed a lot since then, an unfair competition of the carpet producers, unable to change the business model make it hard to continue the carpet business in Nepal. Now only limited company is operating in Nepal to produce carpet as demand is changing more to the individual custom design carpets. #carpet#rug#weaving#tibetanrugs#rugs what do you say the @theruggist Michael, would love to hear from you. In hindsight one the biggest flaws was in the uncoordinated marketing, branding, and promotion of Tibetan carpets by those in the West. This was not done with malicious intent rather it was a decision made without the ability to gaze into the future, specifically the ability to foresee competition from those making so-called ‘Tibetan’ carpets elsewhere, namely in India where costs remain significantly lower. The ‘Golden Era’ of Tibetan production in Nepal saw an explosion of carpet manufacturers and importers making superior quality carpets. Tibetan Highland Sheep’s Wool, handcarded, handspun, handknotted using a Tibetan knot with traditional crossed-weaving (in Nepal); that was the standard to which Tibetan carpets from any reputable importer of the time were held. Except we never really said Nepal favouring in its stead the more exotic sounding Kathmandu. Unfortunately many people cannot locate Kathmandu, Nepal, or even Tibet on map and so it is all of the ‘exotic’ ended up branded simply as Tibetan. Tibetan Highland Sheep’s Wool is singular and inimitable. No matter the quality of wool used anywhere else in the world to make Tibetan weave carpets, unless it is made with Tibetan Highland Sheep’s Wool it is simply not true to the period which saw such widespread consumption – the ‘Golden Era’ – nor the technique’s roots in Tibet proper. Where are carpets like that made? Only Nepal. In addition to operating the most rigorous inspection regime to certify no illegal child or bonded labour was used in the manufacture of a handmade rug, GoodWeave now runs weaving training programs to teach job skills for those seeking a way out of poverty. | Image by The Ruggist. In the early years of the ‘Modern Carpet Revolution’ say the mid to late nineties there were efforts to differentiate. Indo-tibetan was a term used by old school rug dealers to quantify a decorative product as they tried to figure out how it was going to relate to their existing vernacular of Persian (Iranian), Indo-persian (Indian), and Sino-persian (Chinese) offerings. As should be obvious an Indo-tibetan carpet is a Tibetan weave carpet made in India, much the same way an Indo-persian carpet is a Persian weave/knot carpet made in India and we should applaud those more scholarly rug and carpet dealers who sought in those early years to more correctly define the genre which would come to shape a generation of rug consumers. In part, I am calling for a return to such distinctions in some way, shape, or form. My assertion regarding the ‘homogenization and overt westernization of carpet aesthetics’ as it pertains to Nepali-Tibetan carpets is perhaps controversial but hear me out, the argument is surprisingly short. 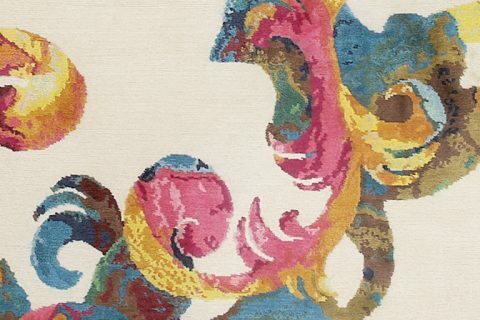 First, look around at hot on trend rugs right now and think about authenticity – whatever that means. Look at the trend toward traditional – that is Persian or Persian styled rugs. I contend that the vanguard of desirable rugs possess a degree of both authenticity and exotic, that is to say foreign or unfamiliar, charm and character. If every rug made looks the same-ish sooner or later that look will fall from favour, replaced by another, which will be replaced by another, only to then return to the original look. Worse yet, is that much like those aforementioned airline seats, a melange of homogeny leads to the commodification of a product; as commodities compete on price, Nepal and its authentic Tibetan carpets are then at a disadvantage. Fortunately when trend and style cycles return, they are never quite the same, they’re made modern somehow. It is simply time for the look of Nepali-Tibetan carpets to be once again made modern and distinct – whatever that means. 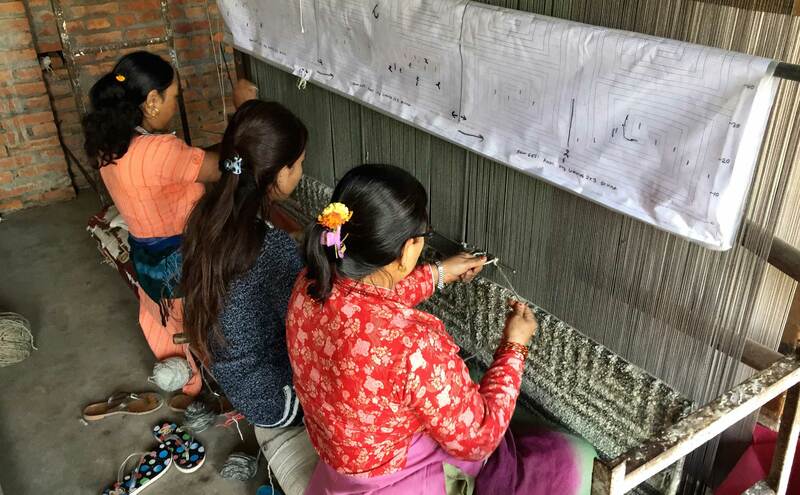 The Nepali Staff of Label STEP present the ‘Health and Hygiene’ component of their ‘Weaver Capacity’ educational program to a group of weavers in Kathmandu. | Image by The Ruggist. I see great promise in the ability to once again define an ‘authentic’ Tibetan carpet, but we must do so not by replicating the past but rather by learning from it. We must think of ways to bring all manufacturers in Nepal together to work cohesively at marketing their Nepali-Tibetan wares. We must think of ways we as Westerners can also work collaboratively and cohesively at marketing these wares. We must think how to differentiate in order to standout, to reclaim cache, to be… less ordinary. Ordinary is fine, but it is only on rare occasion that the ordinary is also the highly desirable. Fully handmade Nepali-Tibetan carpets – those adhering to standards stemming from informed traditions – are an increasingly rare item and perhaps we should tell more people of this scarcity, because who doesn’t desire what is hard to obtain? This in turn could fuel demand, even growth, and a symbiosis of sorts could be found instead of this state of continued decline. Do not mistake this conviction to come from a place of naïveté for I know it unreasonable to expect a return to the millions of square meters level, but I also know products which enjoy both the protection and more importantly the caché of an appellation d’origine contrôlée perform very well in the luxury marketplace. With that, I personally invite anyone with interest – of any kind – and a commitment to invigorate Nepali-Tibetan carpets to contact me at nepalascending@theruggist.com so that we may continue the conversation of Guild and look toward reversing this downward trend as opposed to just lamenting it. Thank you kindly for your time and as always I welcome your comments, thoughts, and suggestions. Namaste and godspeed.